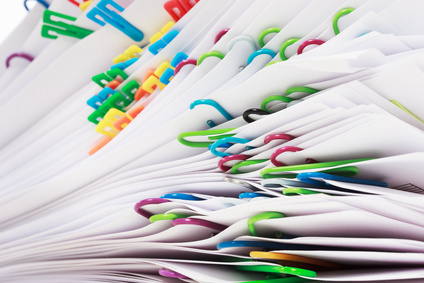 Despite the trend toward electronic documents, law firms can’t avoid generating thousands of paper originals. Clients and courts demand paper documents, and state bar associations set standards for law firms’ document retention. Even when documents are filed electronically, there is almost always a paper copy that has to be accounted for. And paper seems to have a mind of its own; the one document you need is the one that has decided to wander off. However, RFID technology is corralling those pesky wandering papers. A new printer system adds an RFID tag to legal documents, allowing them to be tracked as they move through a law firm’s offices. As described here in RFID Journal, the system also identifies various levels of confidentiality and keeps a list of documents that have been destroyed when no longer needed. It’s an improvement in security and productivity – law office staff can spend less time looking for documents and more time upholding the scales of justice.